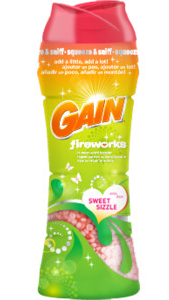 Hurry and print this high-value $2.00/1 Gain Fireworks coupon. They will send you two coupons via mail–one for you and one for a friend. I’ve been trying to grab this coupon for the past week, and I finally did! You’ll want to hurry because it will be gone fast.